The 2018 wedding season started on a beautiful April weekend with with Branden & Traci’s nuptials in downtown Indianapolis. The cherry blossoms were in perfect bloom! The early May wedding of Laura & Greg arrived on a gorgeous spring day. A true Midwestern pastime, baseball was the theme of their rehearsal dinner & friendly game among families at Kokomo’s Jackrabbit Stadium. What a great facility for a private event! The following day, Laura & Greg’s Lindley Farmstead reception was beautifully accented with a nature arch and intricate tablescapes - topped with a beautiful sunset! Jim & Amanda’s wedding kicked off the month with nuptials at the historic & one-of-a-kind Laurel Hall. This is quickly becoming one of my favorite venues! With remarkable details and a 3rd floor chapel, this venue is easily a top choice for many couples! Another castle-like wedding followed the next weekend at Meyer’s Castle in Northern Indiana. Lush gardens, fountains & peacocks roaming the grounds transported guests to a fairy tale wedding. The following week brought us relentless rain, but the skies cleared by the weekend! Galit & Adin were blessed with a beautiful and hot wedding day for their garden ceremony at the Willows. The wonderful staff at the Willows (Thanks Shawn & Jess!) were great company in June – as we returned the following weekend for the wedding of Kayla & Brian. The Willow’s newly renovated deck overlooking the pond was the perfect backdrop for all 250 guests! With July in full swing, Beth & Steven said their vows at the Franklin Parks gazebo. Their simple outdoor wedding was a romantic afternoon accented with picture perfect willow trees. Mid-August hosted a Great Gatsby themed style shoot at the unique Cyrus Place in downtown Indy. I want to shout from the rooftops how talented this creative team was! As the summer winded down, we found ourselves at Eddie Merlot’s with the loveable Eric & Leighann. The staff and setting were ideal for a flawless, intimate wedding – topped off by a visit to the wine cellar! They say rain on your wedding day is good luck – and Cody & Caitlin handled it gracefully. This sweet couple’s backyard wedding may have switched to Plan B, but it was a magical night nonetheless! 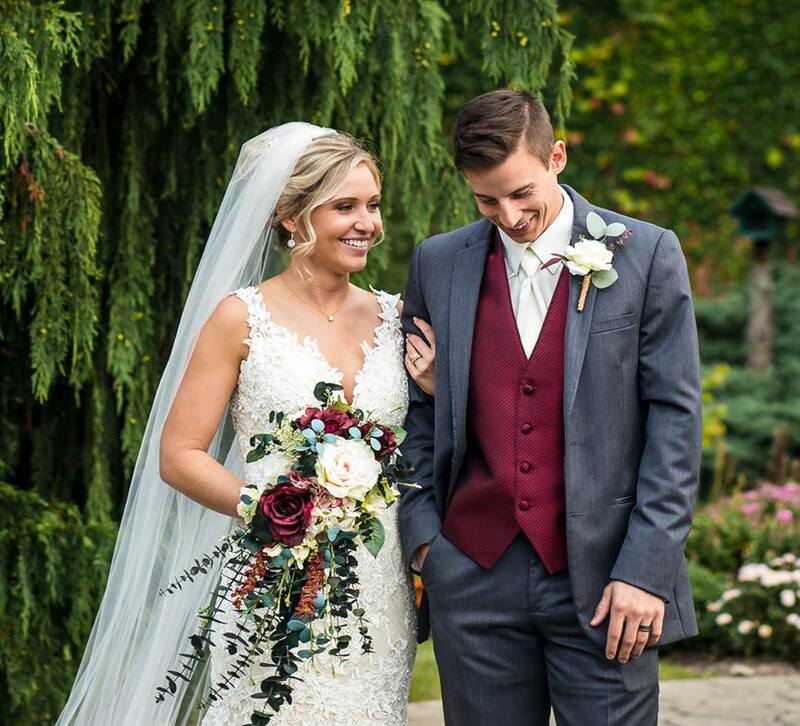 The biggest undertaking of the year was converting New Castle’s Arts Park into a flowy oasis for the wedding of Sara & Grant and their 300 guests. But, alas, we did it! The lush gardens in the park were the perfect backdrop! Any Hoosier knows the prettiest place in October is Brown County. I was thrilled to be a part of Kitty & Collin’s wedding at the Old Barn in Brown County. A romantic rustic barn nestled in the woods of Nashville hosted their romantic evening. Chazz & Kylie’s November wedding was embraced by the peak in fall colors on the grounds of Laurel Hall. This beautiful day was a photographer’s dream! 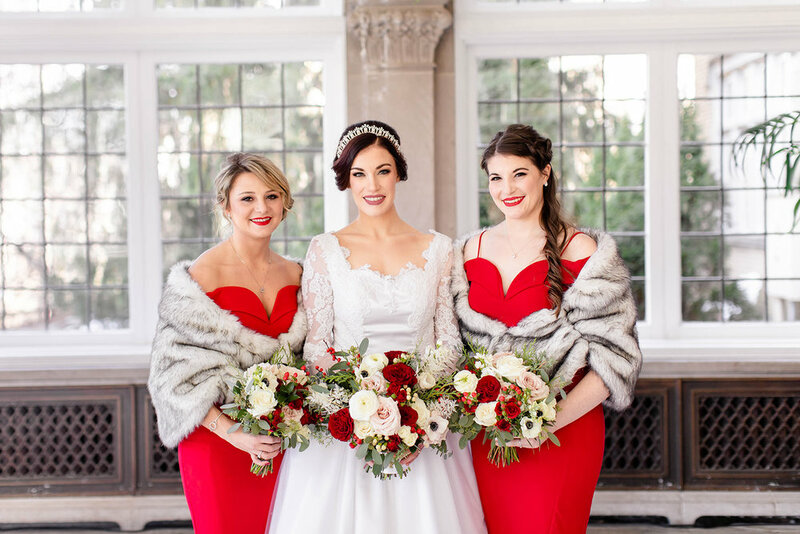 Dreaming of a Christmas wedding with tartan plaid, bells & splashes of red, Jeffrey & Kaitlin’s wedding was one for the books! Their first dance in Laurel Hall’s solarium was unforgettable! I was blessed by an amazing year - and amazing couples. I look forward to another great year in 2019!